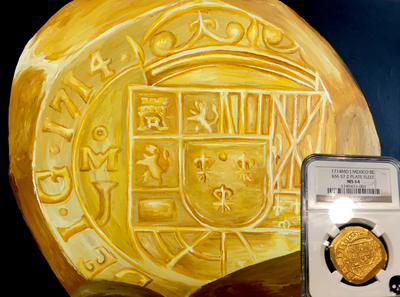 Treasure Paintings by JR Bissell: "Mexico 1714"
MEXICO 1714 8 ESCUDOS NGC 64 FINEST KNOWN of All MEXICO COBS! “1715 FLEET” SHIPWRECK GOLD DOUBLOON COIN This incredibly FULLY DATED 1714 (all 4 Digits) is not Only the “FINEST KNOWN” for it’s type, but FINEST KNOWN for ALL MEXICO COBS! It has a gorgeous color and toning to it, with very strong detail / strike. We’ve had several of these 1714 Date on Obverse (also known as Grat pieces), we’ve had a 58, a 61 and now this 64. This piece by far has the most round planchet. 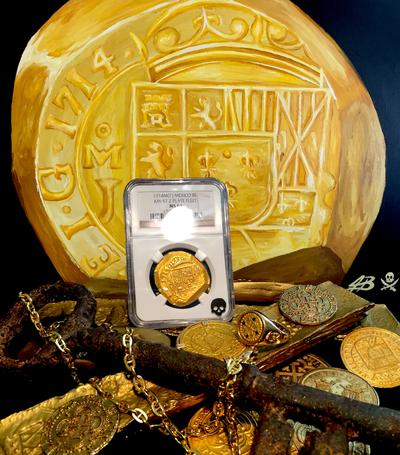 Also, there’s NO adjustment marks anywhere near the date or mint mark (oMJ = Mexico mint, Assayer- Jose de Leon). We also commissioned a painting, which is offered with the piece. 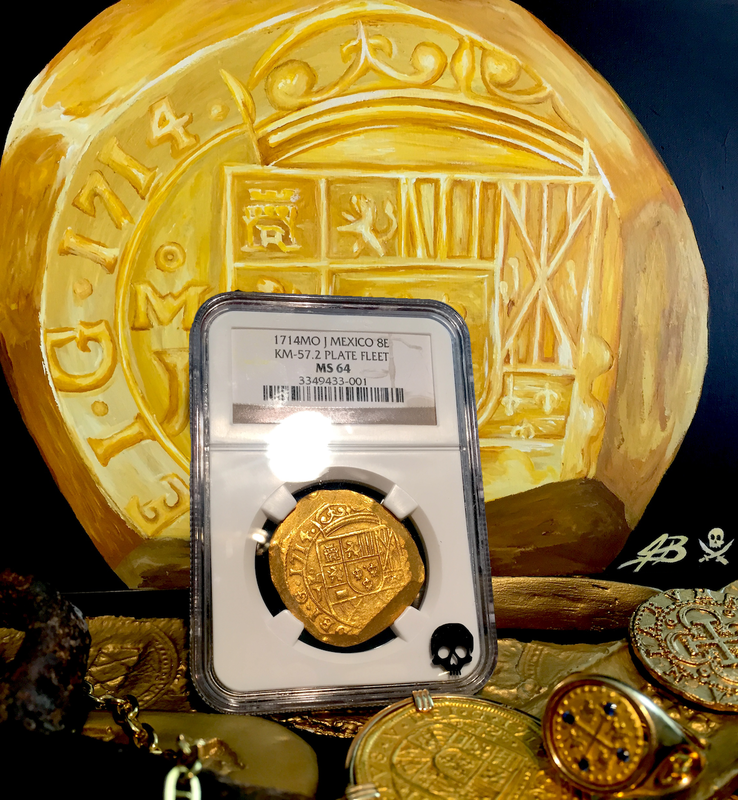 This will be especially nice to hang in an office or den to really show the piece and be able to enjoy the history every time you walk into the room! 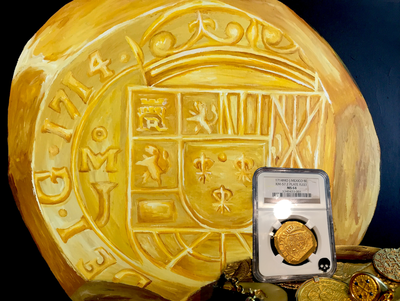 The painting is an original and is 1 of 1 and was done by an artist (J.R. Bissell) who specializes in Numismatic Art (specifically Shipwreck and Treasure Art).